October 3, 2018 - Up-Rev, Inc.
2017 became the Year of Intelligence: the advance of technological achievements has triggered exciting and unexpected trends with wider impact horizons and very promising business prospects. This year we expect drastic exponential changes in every technological direction. Machine learning and artificial intelligence will transform the entire industries, making way for virtual helpers and a myriad of cases for automatization. The Internet of Things (IoT) will become more intelligent, uncovering a huge potential for smart homes and smart cities. A more efficient human-machine interaction will become established with the natural language replacing specific commands. In this article, we will focus on the modern trends that took off well on the market by the end of 2017 and discuss the major breakthroughs expected in 2018. AI brings enormous changes to business operations, reshaping entire industries with the power of advanced technologies and software. Some companies now acknowledge the value of implementing the AI strategies for their business, and a major leap towards AI is on the way. Large companies with over 100,000 employees are more likely to implement the AI strategies, but for them, this process can be especially challenging. 2018 will be the year when the leading firms will incorporate AI applications into their strategic and organizational development. Additionally, there is a potential for algorithms marketplaces, where the best solutions created by engineers or companies can be shared, bought, and deployed for organizations’ individual use. Brave ideas that used to be hard to believe, are becoming real. The constant development of machine learning and AI technologies will make every business become data-driven, and every industry smarter. After years of background work on prototypes and ideas, the new solutions will be breathtaking. Virtual assistance for patients, computational drug discovery, and genetics research give a glimpse of the amazing use cases in medicine. Many more applications for automation, robotization, and data management in different industries will bring significant changes. Healthcare, construction, banking, finance, manufacturing — every existing industry will be reshaped. Everyone is now talking about blockchain, a revolutionary decentralized technology that stores and exchanges data for cryptocurrencies. It forms a distributed database with a digital register of the transactions and contracts. Blockchain stores an ever-growing list of ordered records called blocks, each containing a timestamp and a link to the previous block. Blockchain has impressive prospects in the field of digital transactions which will open new business opportunities in 2018. This technology also uncovers many new possibilities with various applications in various other fields. Due to the growing role of social responsibility and security on the internet, the blockchain technologies are becoming increasingly relevant. In a system using blockchain, it is nearly impossible to forge any digital transactions, so the credibility of such systems will surely strengthen. This approach can become fundamental for disruptive digital business in enterprises and startups. Companies, previously operating offline, will be able to translate the processes into the digital environment completely. Business needs to account for the blockchain risks and opportunities and analyze how this technology can influence the customer behavior. 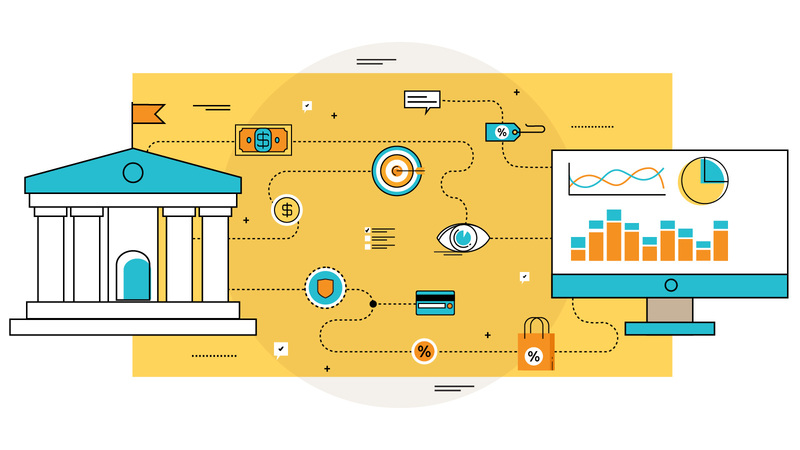 As the initial hype around blockchain in the financial services’ industry will slow down, we will see many more potential use cases for the government, healthcare, manufacturing, and other industries. For example, blockchain strongly influences the intellectual property management and opens new insights in protection from copyright infringement. Some websites like Blockai, Pixsy, Mediachain, and Proof of Existenceintend to apply the blockchain technology for this purpose. The technological development boosts the importance of data, so hacking techniques become ever more progressive. The increase in numbers of devices connected to the internet creates more data but also makes it more vulnerable and less protected. IoT gadgets are getting more popular and widely used, yet they remain extremely insecure in terms of the data privacy. Any large enterprises are constantly under threat of hack attacks, as it happened with Uber and Verizon in 2017. Luckily, the solutions are achievable, and this year we will see great improvements in the data protection services. Machine learning will be the most significant security trend establishing a probabilistic, predictive approach to ensuring data security. Implementing techniques like behavioral analysis enables detecting and stopping an attack capable of bypassing the static protective systems. Blockchain brought our attention to a new technology called Zero Knowledge Proof which will further develop in 2018 enabling transactions that secure users’ privacy using mathematics. Another new approach to safety is known as CARTA (Continuous adaptive risk and trust assessment). It is based on a continuous evaluation of the potential risks and the degree of trust, adapting to every situation. This applies to all business participants: from the company’s developers to partners. Although our security is still vulnerable, there are promising solutions that can bring better privacy into our lives. The intelligent things are everyday devices capable of smarter interactions with people and the environment. These things operate either semi-autonomously or autonomously in uncontrolled real-world conditions without the need for human intervention. Intelligent things have been in a spotlight for several years, and with a continuous expansion and enhancement in 2018 they will influence another global trend — the Internet of Things. A network of collaborative intelligent things will be created where multiple devices will work together developing IoT to its full potential. Connected to the global web and combined via wired and wireless communication channels, things will turn into a one big integrated system driving a major shift in the human-machine interaction. The fusion of artificial intelligence with the Internet of things brings about new amazing technologies to create smart homes and cities. Nowadays, deep learning faces certain challenges associated with the data collection and the complexity of the computations. Innovations in hardware are now being developed to speed up the deep learning experiments, e.g. the new GPUs with a greater number of cores and a different form of architecture. According to Marc Edgar, a Senior Information Scientist at the GE Research, deep training will shorten the development time of software solutions from several months to several days within the next 3-5 years. This will improve the functional characteristics, increase productivity, and reduce product costs. Currently, most large firms realize the importance of data collection and its influence on the business effectiveness. In the coming year, companies will start using even more data, and the success will depend on the ability to combine the disparate data. In 2018, companies will collect customer data via CRM, ticket systems, BMP and DMP, as well as the omnichannel platforms. The popularity of collecting data on specialized sensors like LIDAR is also on the rise. Integrating the existing systems with all types of client data into a single information pool will definitely be on trend. Startups will continue to create new methods for gathering and using data, further reducing the costs. Since Google’s launch of AutoML last year, use of the AI tools to accelerate the process of constructing and tuning models is rapidly gaining popularity. This new approach to AI development allows automating the design of machine learning models and enables the construction of models without human input with one AI becoming the architect of another. This year, experts expect growth in popularity of the commercial AutoML packages and integration of AutoML into large machine learning platforms. After AutoML, a computer vision algorithm called NASNet was built to recognize objects in video streams in real time. The “reinforcement learning” on NASNet implemented with AutoML can train the model without humans showing better results when compared to the algorithms that require human input. These developments significantly broaden the horizons for machine learning and will completely reshape the approach to model construction in the next years. The Chief Data Officers (CDOs) and other senior data professionals are getting more involved in the top management of large organizations changing their approach to data management. CDOs are the driving force behind the innovation and differentiation: they revolutionize the existing business models, improve the corporate communication with the target audience, and explore new opportunities to improve the business performance. Although this position is quite new, it is getting mainstream. According to Gartner, by 2019 CDO positions will be present in 90% of large organizations, but only half of them will actually succeed. Strong personal qualities, understanding of the responsibilities and potential obstacles are considered crucial to achieving success, yet there is another important step to unlock the full CDO’s potential. Firms should consider branching the IT department into the “I” and “T” separately, and CDOs should take the lead in the new group responsible for the information management. 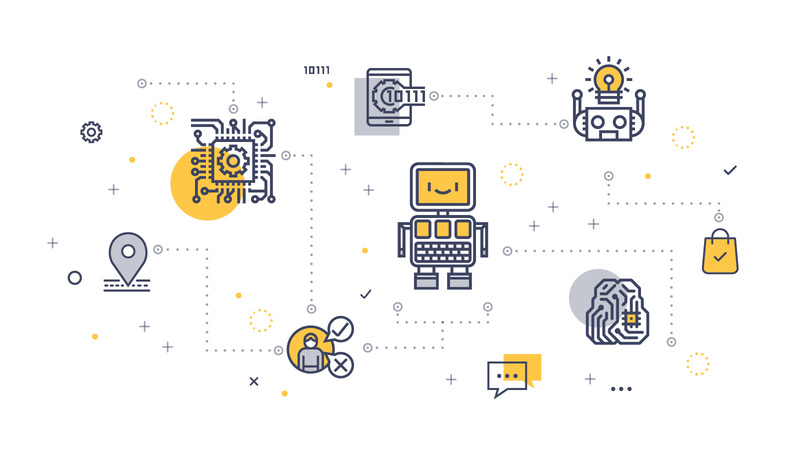 As the AI industry makes significant progress in performing various tasks and actions in the everyday life, questions are raised regarding ethics, responsibilities, and human engagement. Who will be to blame if an artificial intelligence unit performs an illegal act? Do AI bots need any regulations? Will they be able to take over all the human jobs? The first two questions assume that one day a bot will be legally recognized as a person and could take responsibility or be punished for their actions. Although this perspective is still years away, the debates around ethics are heating up already. Considering different possibilities, scientists are trying to find a compromise regarding the bots’ rights and responsibilities. However, the possibility that robots will take all the workplaces is actually close to zero. Of course, the AI industry is developing extremely fast, but it is still pretty much in its infancy. 2018 promises to take the hype around this question down. Once we dive deeper into this subject, understand how to interact with the AI, and get used to it, the myth about robots taking over will surely be dispelled. 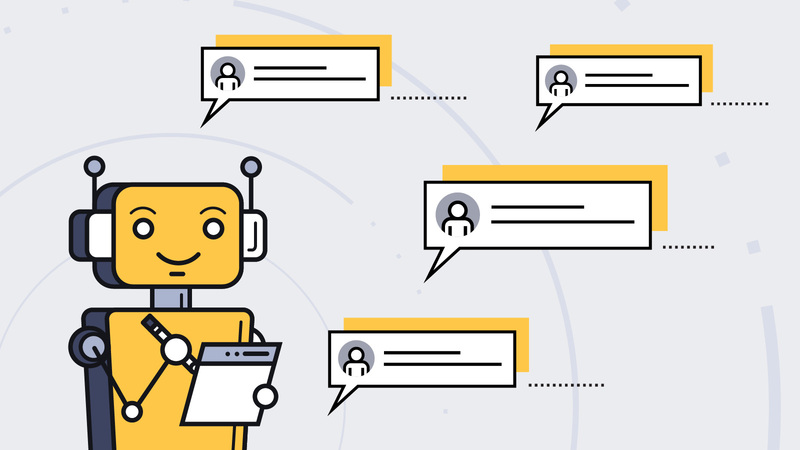 Use of chatbots in customer service became one of the leading trends of the outgoing year. In 2018 applications will require the ability to recognize the little nuances of our speech. The users want to get a response from their software by asking questions and giving commands in their natural language without thinking about the “right” way to ask. The development of NLP and its integration into computer programs will be one of the most exciting challenges of the 2018 year. We have high expectations about this. What seems as a simple task for a human — to understand the tone of speech, the emotional coloring, and the double meaning — can be a difficult task for a computer accustomed to understanding the language of specific commands. These complex algorithms require many steps of predictions and computations, all occurring in the cloud within a split-second. With the help of NLP, people will be able to ask more questions, receive apposite answers and obtain better insights on their problems. Since the invention of the first artificial intelligence, the future in this field approaches faster than we expect. Experts were predicting that the AI would beat humans in the Go game by 2027. But it happened 10 years earlier — in 2017. It took only 40 days for the algorithm AlphaGo Zero to become the best Go player in the history of mankind. It was teaching itself without the input of any human data and developed strategies impossible for human players. Next year the race for the creation of a developed, self-taught artificial intelligence will only continue. We look forward to the AI breakthrough in solving many human routines: decision-making, developing businesses and scientific models, recognition of objects, emotions, and speeches, and reinventing the customer experience. Also, we expect that AI will be able to cope with these tasks better, faster, and cheaper than people. The capability of algorithms for self-learning brings us closer to implementing the AI into many areas of human life. To conclude, the year 2018 will bring great progress in technological innovations. We will witness faster and more accurate Machine Learning and AI applications and some new exciting developments. The exponential improvement of technologies like the Internet of Things, NLP, and self-teaching AI will change every business industry and our everyday lives. Although this can create a certain threat to the data security, the new approaches and solutions are continuously evolving. The changes will be streamlined and the outcomes are sure to be amazing.